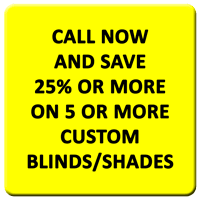 Locally owned custom window blinds for Omaha, Papillion, Bellevue, Gretna, Millard, Blair in Eastern Nebraska including Council Bluffs and Western Iowa. 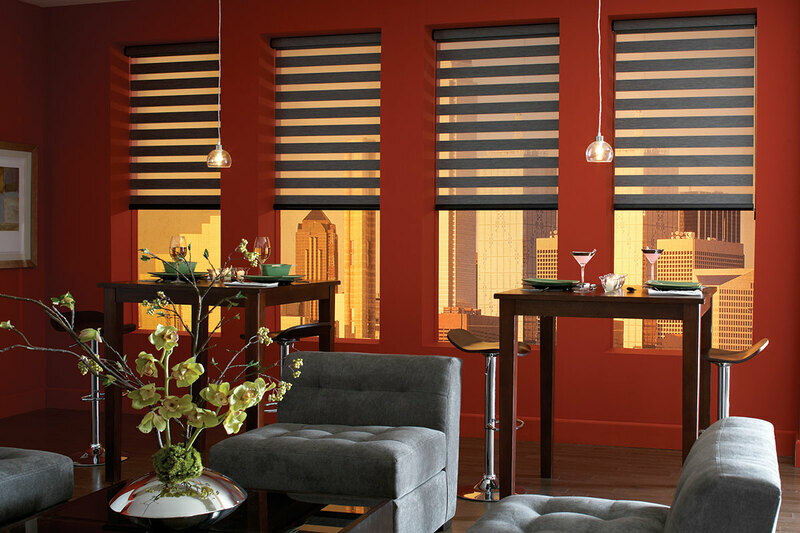 Welcome to The Blind Guy in Omaha, the leader in custom window blinds and window shades. 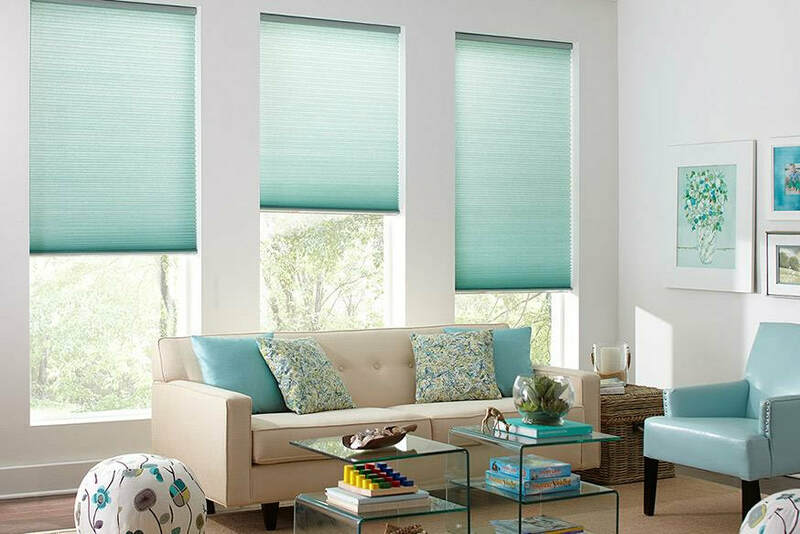 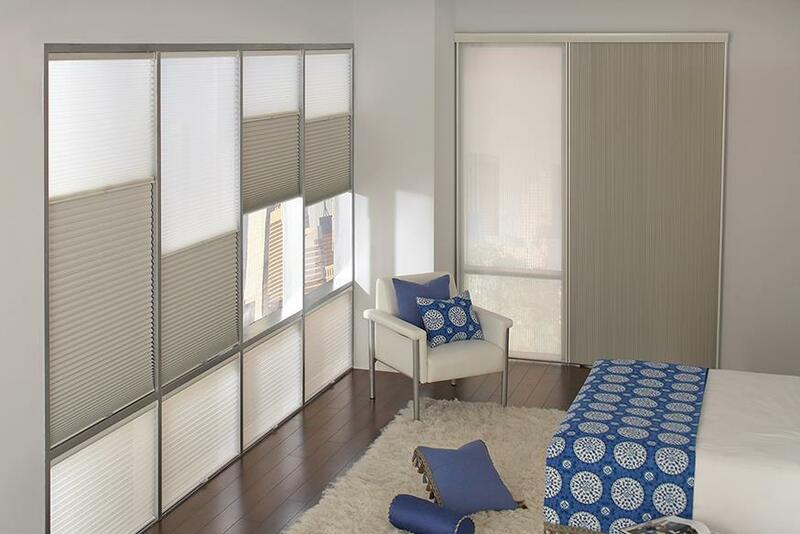 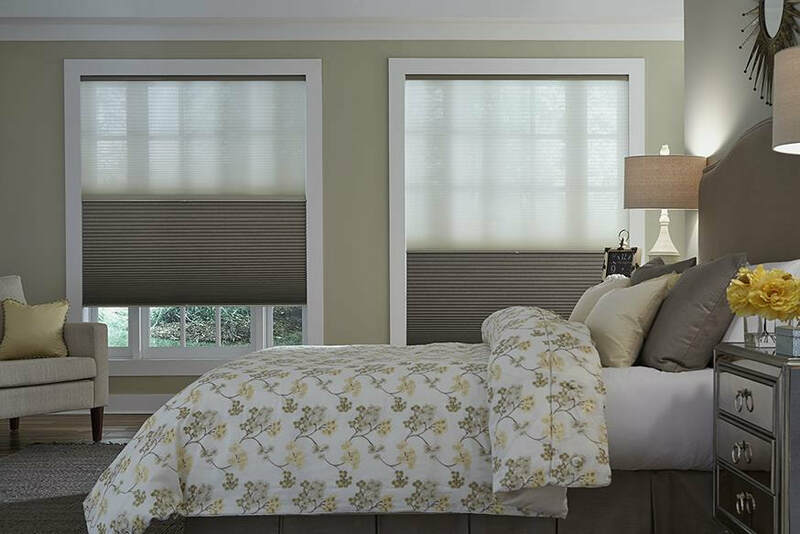 For more than 10 years we have provided our satisfied clients with on-site sales and installation of window blinds, vertical blinds, window shades, exterior sunscreens, roller shades, honeycomb shades, Allure transition shades, wood blinds and faux wood blinds and more at competitive prices. 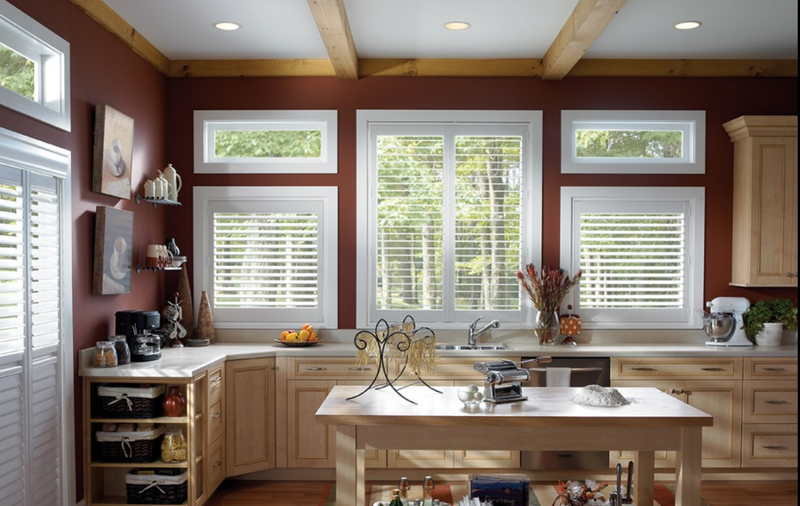 Our service, product knowledge, professionalism and workmanship are second to none. Let us dress the windows in your new home! 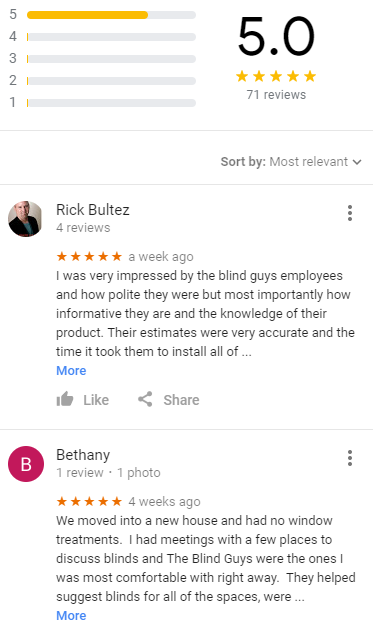 One of Several Google Reviews: Andy and his son are awesome. 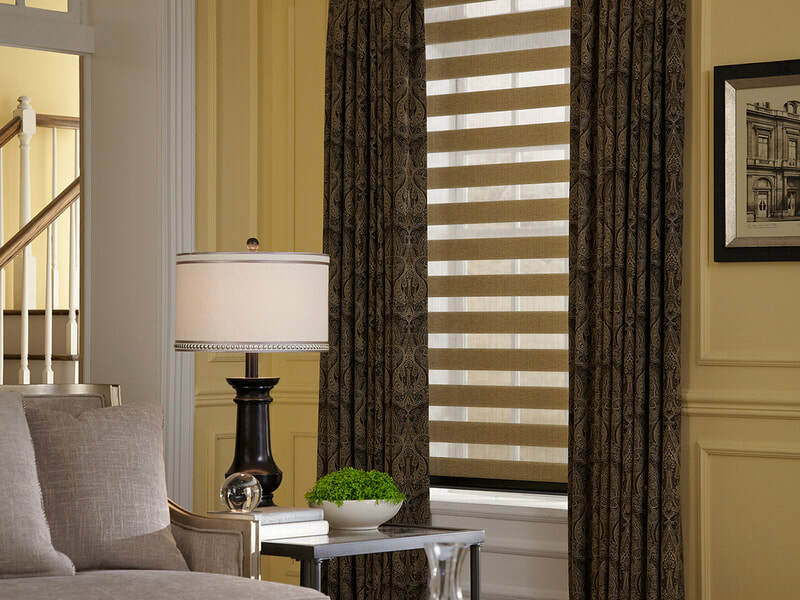 We called to get an estimate for window coverings, Andy promptly returned our call and was out the next day. 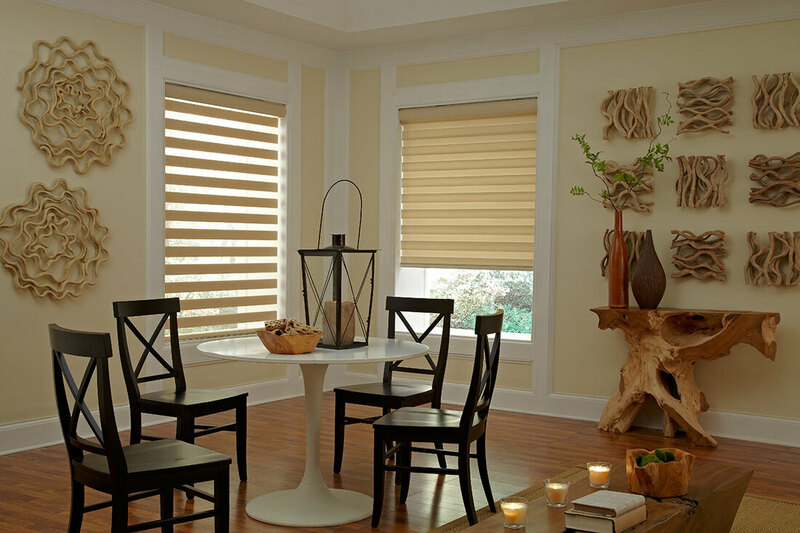 They offered us a broad selection of options and once we determined what we wanted, they placed our order that day. 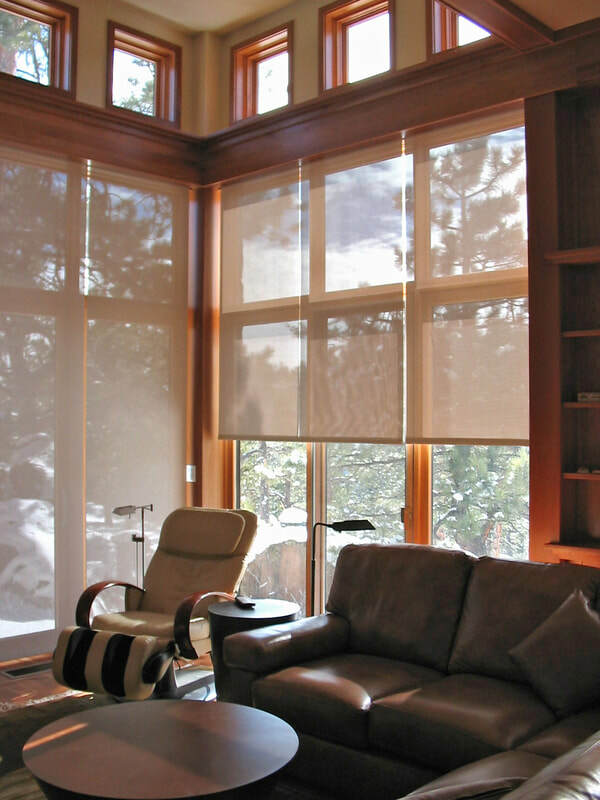 Our shades came in incredibly quickly and Andy called to schedule the installation right away. 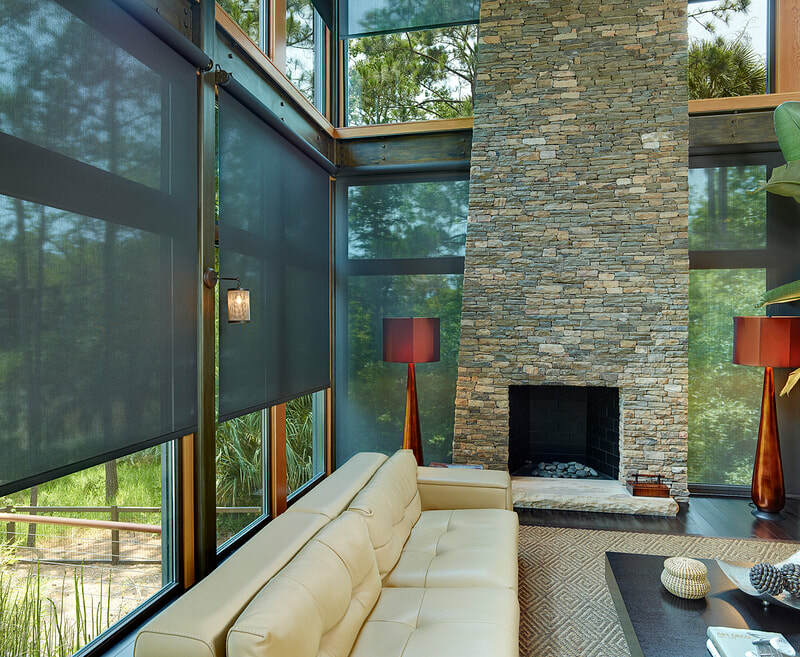 We now have new window coverings in several rooms of our home and could not be happier. 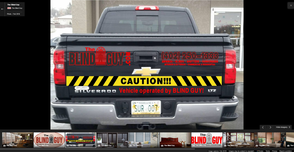 Andy is extremely prompt, courteous, professional and friendly. 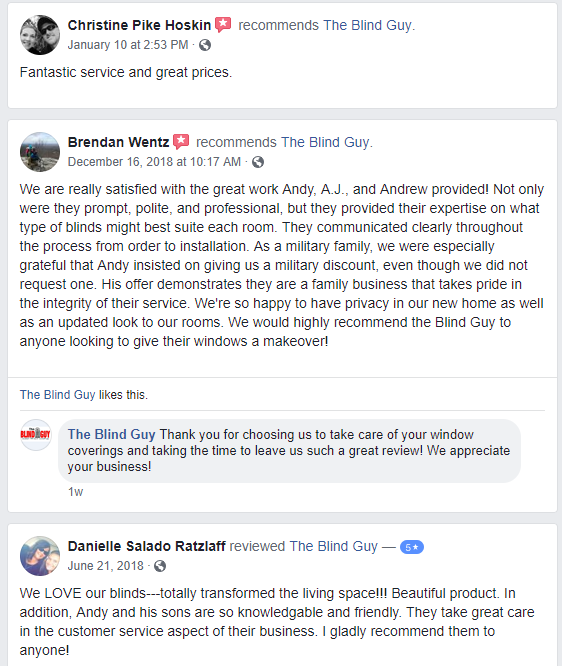 We will definitely be using the Blind Guy as we continue our remodel and need window coverings for other rooms in our house.